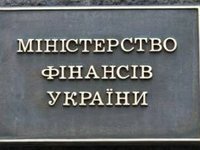 The Finance Ministry of Ukraine supports the exchange offer made by the Kyiv city for its 2015 and 2016 eurobonds representing a total of $550 million, the ministry has said on its website. The ministry said that participating holders of those bonds will receive, after a 25% haircut, in equal parts, two sovereign bonds maturing in 2019 and 2020 with a 7.75% coupon and GDP growth-linked warrants for 25% of the nominal, which are fungible with warrants issued for the sovereign operation. As reported, last week Kyiv proposed that the holders of its eurobonds worth $250 million maturing in 2015, and $300 million maturing in 2016, should support the exchange of securities for Ukrainian eurobonds maturing in 2019-2020 and GDP growth-linked warrants.